This coffee is full of sweet caramel flavors, smooth roasted nut notes and delicate floral nuances. 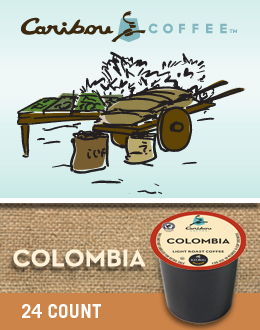 Caribou has been hard at work sourcing Colombian coffees over the past couple of years. Hailing from the area surrounding the southern town of Timana in the Huila department (state) of Colombia, this coffee is full of sweet caramel flavors, smooth roasted nut notes, and delicate floral nuance. This Colombian coffee is the perfect beginner’s coffee with its mellow, clean character. Colombia is a Rainforest Alliance Certified coffee.